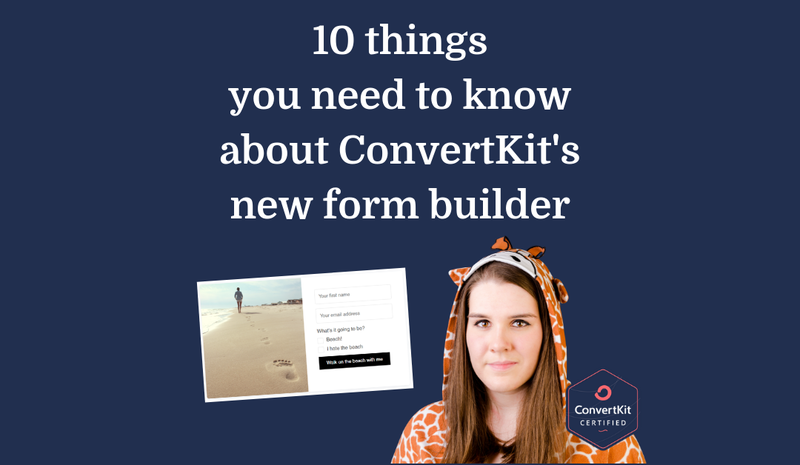 On July 1st, 2018 ConvertKit announced some huge new feature updates including the much anticipated new form builder. People like to panic, but don’t be one of those people. All existing ConvertKit forms and landing pages will continue to work exactly how they did previously. You don’t need to panic. You don’t need to scramble to make changes. The ability to switch between form/landing page styles and inline/modal (You can now switch between inline/modal and different styles, but not between forms and landing pages). This is it my friends, this is what we’ve patiently waited years for, and it’s really slick! 🎉🎉🎉 Go play with it and you’ll see what I mean. The only slight downside which some people might be disappointed about, is that you can’t add hyperlinks to the field labels inside the form builder. If you want to do this, you’ll still have to add them in to the full raw html code and embed that onto the page. 5. The Naked style form has been renamed to the Clean style form. I’ll be honest… it’s probably a better name 😉. The other good bit of news is that it no longer has the crazy padding/spacing around it – yay! One thing to watch out for though – it does now have the ‘Powered by ConvertKit’ text automatically added to the bottom, but you can remove that (see #8 below). 6. Not digging the new rounded edges on everything? No problem! Not sure why, but everything has gone for the ’rounded edges’ look (buttons, forms, etc). Not feeling it? No worries – anywhere you see the option to change the ‘border radius’, change that to 0 and you’ll have nice square edges again. This is new – I’m kinda digging it. 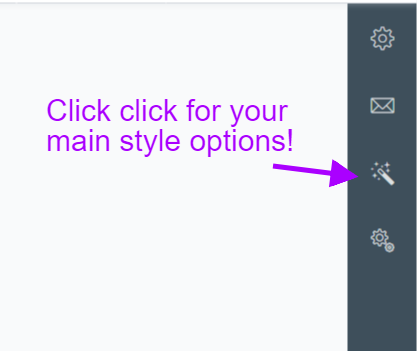 It’s in the main form style settings under the magic wand. Previously you had to use custom css to remove the ‘Powered by ConvertKit’ text – but now you just need to click on it and the option appears to not show it! 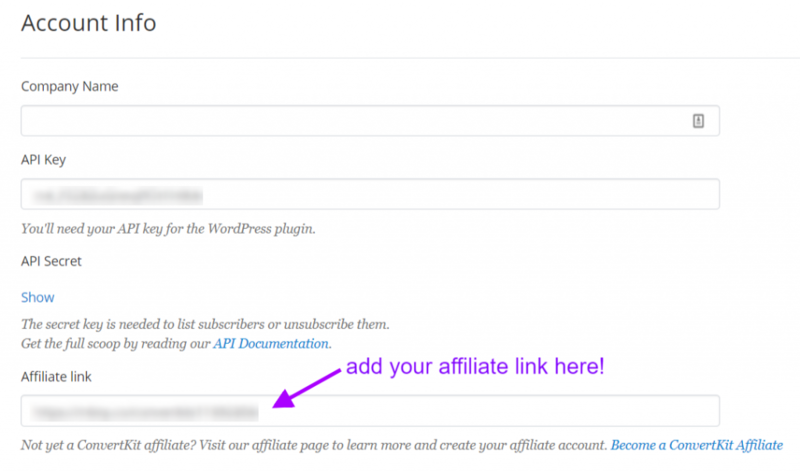 Why you wouldn’t want to show it when it’s linked to your affiliate url though is another matter… make sure you’ve signed up as an affiliate and added it in your Account Settings! For now, it’s still possible to duplicate old style forms and landing pages. You can then edit the duplicated form/landing page using the old form builder with all the old settings you’re familiar with. I do really encourage you to get in and play with the new form builder – but this is still an option for now. Hope you found this post useful! Be sure to let me know if the comments what you’re most excited about in the new form builder! Hello, but HOW to input birthday pls? Thanks! Do you want to manually input someone’s birthday who is already a subscriber, or do you want to be able to collect birthday when someone signs up? Thank you for the great article! Quick question: you wrote that the new form builder has “the ability to select a sequence that subscribers to the form are added to (I never recommended doing this anyway – always use rules or visual automations)”. Why don’t you recommend it? – I was always tagging subscribers anyway, so I could just add the sequence to the rule. – The only place you could see which form was linked to which sequence was the forms page and in the form settings. – There’s no record of subscribers being added to sequences… which there is for rules, and somewhat for visual automations.